Add a touch of high-life glamour to your adventures on the high seas. 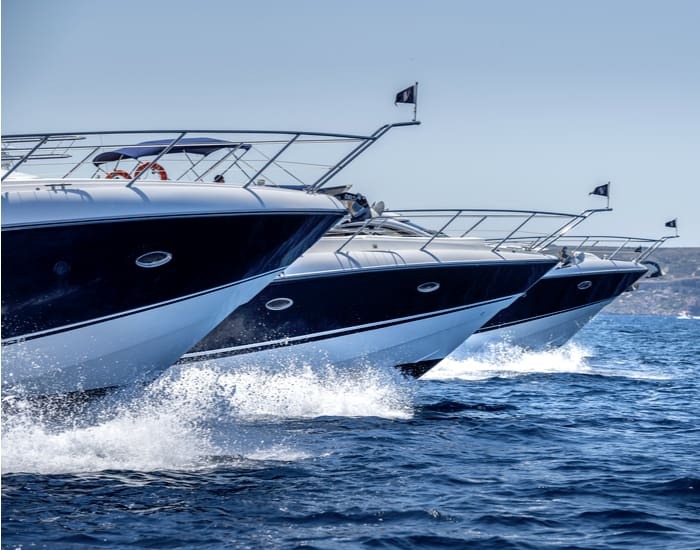 Azure X membership makes a flotilla of Sunseeker yachts ready at your disposal. 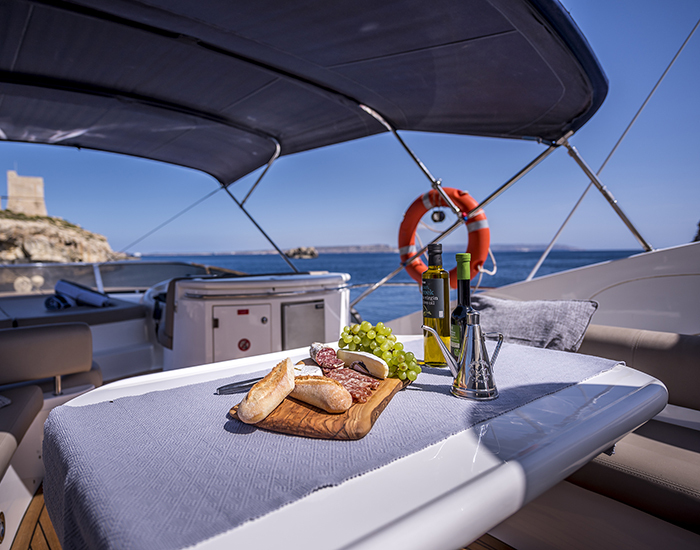 Be the envy of the Mediterranean on your own private cruise that comes complete with personalised itineraries and steward service. Sailing out from Malta’s picturesque Birgu Marina, the Mediterranean’s central delights await your discovery. Spirited Sicily. The alluring Aeolian islands. 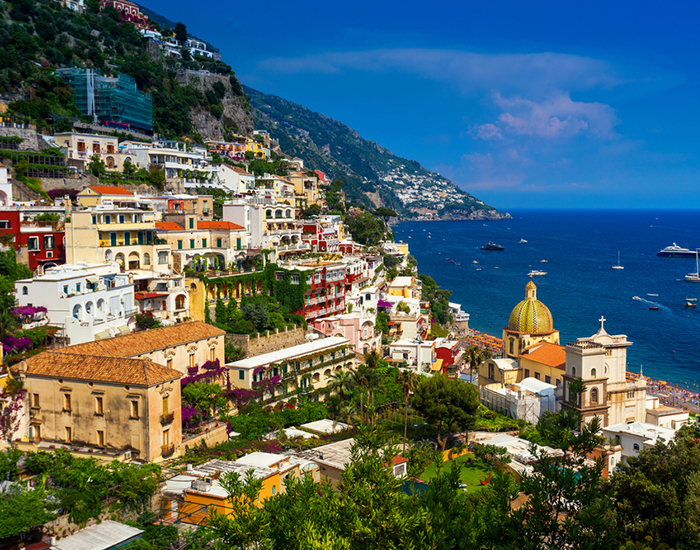 The seductive slopes of the Amalfi Coast. 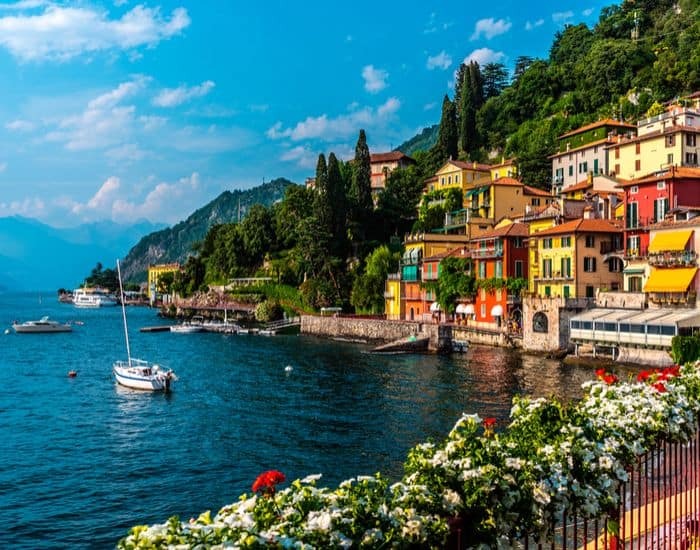 Dive into la dolce vita of sleepy towns and fishing villages scattered around the coast. Feast your eyes on turquoise seas and stucco architecture awash in warm terracotta, honey and biscotti hues. All that’s left to complete the spell is a bowl of marinated olives and a bottle of chilled limoncello. Pure bliss. 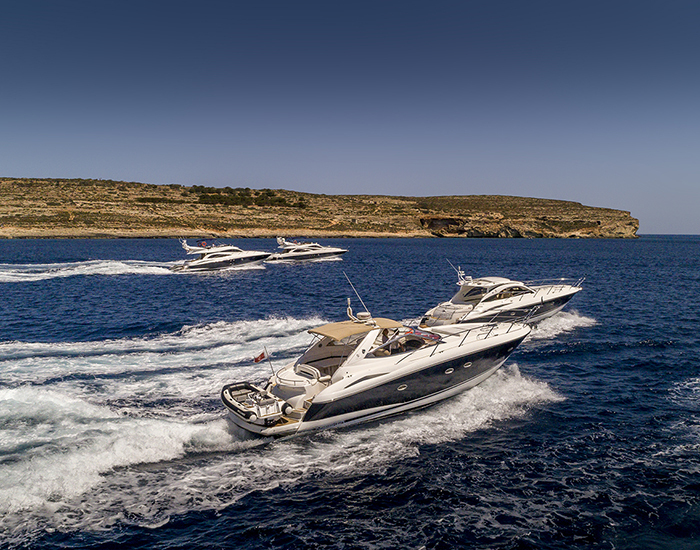 An iconic brand, Sunseeker is a guarantee of impeccable styling coupled with thrilling performance. 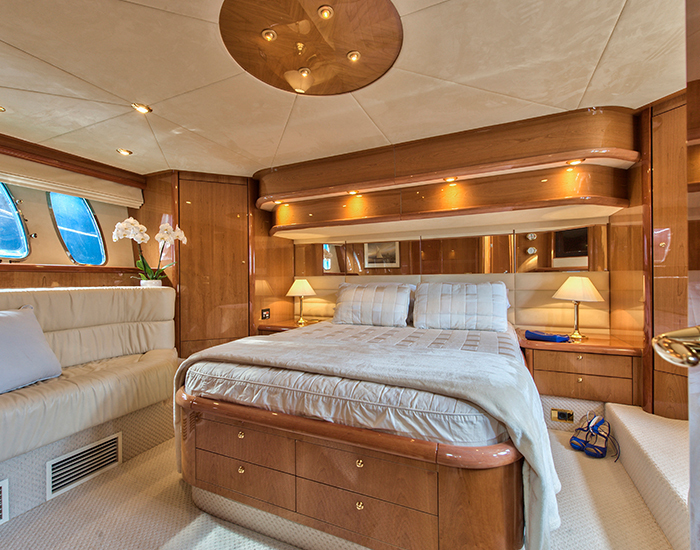 Each Sunseeker yacht is meticulously handcrafted inside and out, offering lounge style deck areas coupled with fully-airconditioned sleeping quarters. It’s no wonder that Sunseeker has become the boat of choice for many a Hollywood A-lister. Our award-winning crew will take care of all the seafaring minutiae so you don’t have to. Simply roll out a map of the Mediterranean and let the captain know where you wish to anchor. Secluded coves. Isolated beaches. Cities by the sea. It’s always your choice. 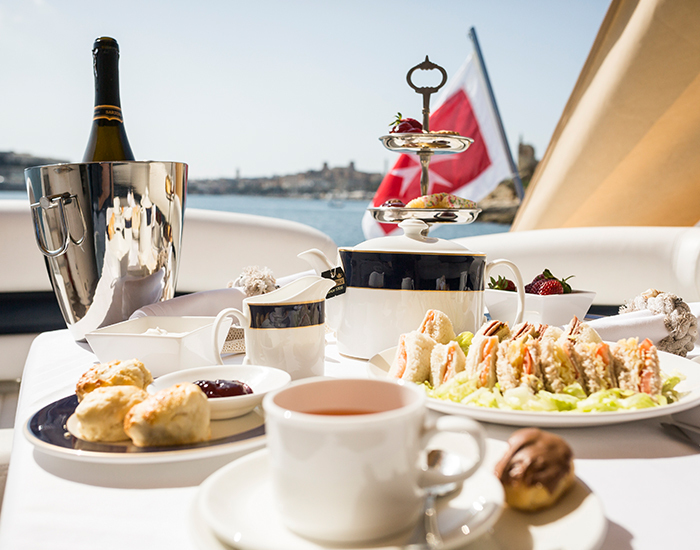 Once on board, a personal steward will cater to your every whim. Catch that perfect sun-kissed tan and sip on ice-cold champagne as you sail into the horizon. Created for the true leisure connoisseur, Azure X is a Private Membership that gives you privileged access to a global alliance of first-class products and services. The finest hotels, supercars, yachts and more, all conveniently at your fingertips. Whichever experience you choose to embark on next, our Travel Experts will be on hand every step of the way.